Here is short overview of all teams that currently available in the game. The Hatriots have won numerous Mayhem Bowl Championships. Their assassin Quarterback, Bomb Shady is arguably the best to ever play the game. All-Star Throb Bronkowski is his #1 target. The Hatriots have a ramping defense, which easily shuts down opposing defense. Their coach, Swill Upchuck is a brilliant tactician, he plans every situation possible and when that doesn't work - he cheats. 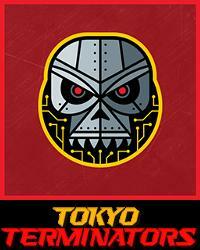 The Terminators are an all robot team, made up of heavy armored BruiserBots and high performance, BulletBots. This is a quick strike passing offense led by QB sharpshooter, Tashiro Maguro, receiving ace, Otomo Akira and a big, bruising back, Akinori SumoNinja (yep, he's slow, but he goes down skow too). They don't have much of a defense, but in all honesty, they put up enough points that they don't need one. The Galaxy Chaos play on a floating meteorite in our space. 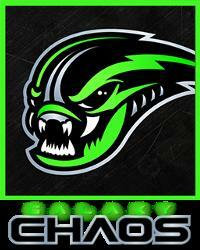 The Chaos is an all-alien team who play in a low gravity environment, which they use to full advantage. Offense is the team's strength, and their All-Star Quarterback, Xeno-Hunter is a game breaker, who can single handedly win games with his arm or legs. His go to receiver is Apex Predator. On defense, the Chaos is fast, but made up of weak hitters. The Cults started as a rogue tribe wandering the Midwest wastelands following their leader Slobber Hearsay, who claimed to have regular visitations by demons who told him the secrets of the universe, and to form a team and then move from location to another. Their All-Star QB Andspew Upchuck is one of the league's best passers behind a porous offensive line. The Cults pray that one day they will have a defense. Led by MVP Quarterback Sven RottenBurger, All-Star receiver, Hambonio Crown and running back, Invader Von Hell, the Steelheads have one of the most potent offenses in the league. On defense they are stout up front, but have a weak secondary who can give up big plays. 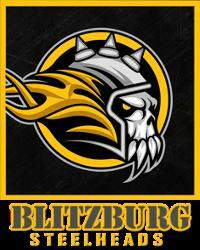 Blitzburg is a blue collar team with a loyal fan base, proud history, and are always in contention for a Championship. This could be their year. 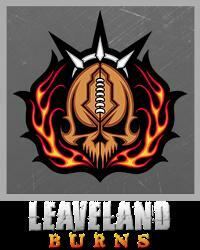 The Leaveland Burns were started by Maul Frown and are one of the league oldest franchises with a proud and historic heritage. Over the last decade the Burns have been in a downward spiral with the league's worst record. Every year they have a top 5 draft pick, but pass on Quarterback who goes on to be stars in the league. With only one All-Star on their roster the teams official motto is, "Wait until next year." 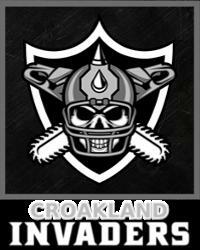 The Croakland Invaders are a storied and historic franchise with a rabid fab base. 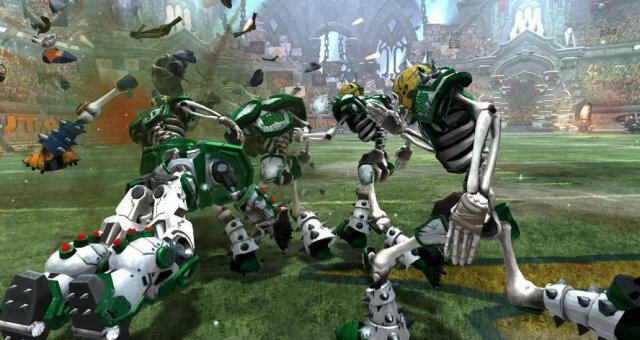 They are a team made up entirely of undead skeletons with the exception of their newly acquired orc running back, Martian Beast. All-Star QB, Rave Scar is taking the team to new heights behind a bruising offensive line. 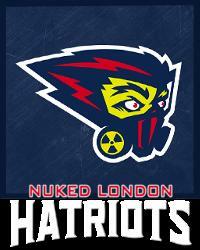 The Invaders are the dirties and most penalized teams in the league, "Lie, Cheat and Kill" is their team motto. 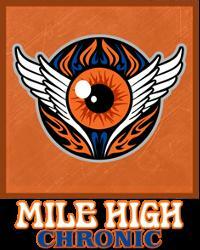 The Chronic has one of the most feared and intimidating defense in the league led by their All-Star Blitzer, Von Killer. They also have two All-Star players in the secondary shutting down the league's best receivers. On offense they rely on a strong running game. The Chronic play on a psychedelic field, high on a mountain top surrounded by poppy fields. There is usually a rainbow over their stadium. 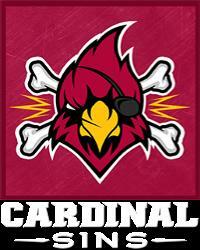 The Cardinals have a devastating, hard hitting defense led by Killpatrick Beaterson and Tyrant Wrathspew, two defenders who can shut down offense cold. 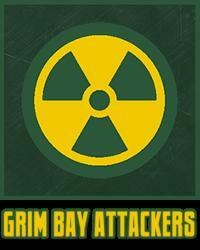 On offense the Sins have a bruising ground game with one of the best running backs in the league, Rabid Bloodstun. Their Quarterback, Arson Emblamer has seen better days, but still has enough left in his arm to burn defense deep. The Panzers routinely light up the scoreboard with deep passes and long runs. One of the league MVP's and top rushing Quarterback, Wham Neutron leads a balanced attack with punishing run attack and high flying passing game. 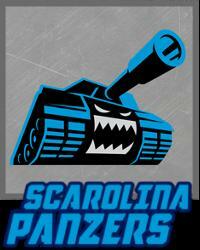 The Panzers' defense is led by arguably the best Line Basher in the league, Nuke Freakly. This defense hits hard and can go skull to skull against any team in the league. One of the most talented teams in the league with a ferocious defense. The Mutilators are well financed corporate team, owned by Microhard. They have All-Star players on both sides of the ball, their All-Star QB, Hustle Killsome is the envy of the league. On defense they are led by their All-Star safety Hurl Vomit and the Sherminator, if he doesn't kill you with his hard hitting, he'll trash talk you to death. The Attackers are one of the oldest and proudest franchises in the league and play at the historic football shrine, Slambone Field where so much of the MFL's history has been written in blood. Led by All-Star Quarterback, Airbourne Dodgers, whose intelligence, rocket arm and pinpoint accuracy make him one of the best passers to ever play the game. Clay Wrathspew leads the point of attack for the defense. Having gone through 3 coached and 39 offensive coordinators in the last 4 seasons, inept management and even more inept drafting has kept this once proud franchise in the cellars of the league. 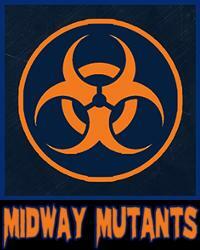 With a new #1 draft pick at Quarterback and All-Star running back Gorgon Powered, along with young, hard hitting defense... the Midway Mutants have renewed hope to restore their long lost dominance in the league. 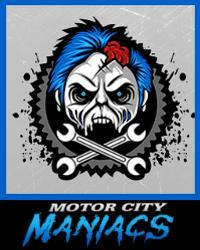 The Maniacs rag tag group of criminals, gang-bangers and insane maniacs, who ruled the streets of the Motor City, causing crime and mayhem until a group of corporate and municipal sponsors pooled their money together to form an MFL Team. Over the years the team has had its ups and downs, but they have an elite Quarterback in Ratspew Splattered, along with a respectable defense. 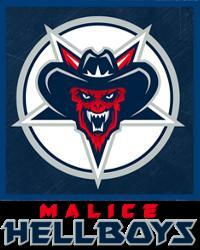 The Malice Hellboys are one of the most popular teams in the league. Multi-zillionaire, Scary Clones couldn't decide if he wanted to be an owner, general manager or coach so he became all three. 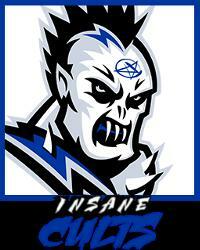 The Hellboys, like Texas are braggarts and full of themselves but they back it up on the field. 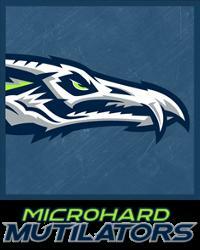 Led by their All-Star running back, Shriekial Helliot and hot shot receiver, Dead Tyrant. The Tyrants are funded by Bawl Street stock brokers and are well financed. They are led by their All-Star Quarterback, Steeleye Maiming and superstar receiver, O'Hell Wreckem Jr. who is taking the league by storm. The offense has no running game to speak of because of an offensive line that avoids contact. 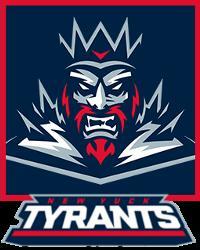 On defense, the Tyrants have some hard hitting talent but are an under-performing unit. 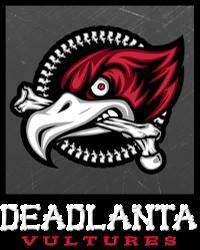 The Deadlanta Vultures are a balanced team with a powerful offense and defense. With one of the league's best receivers, Ghoulio Bones and a double barrel burring attack, starting Dementia Freakman and Devil Trollman. Their All-Star Quarterback Ratty Ice, is a stone cold killer who can pick apart defenses in his sleep. 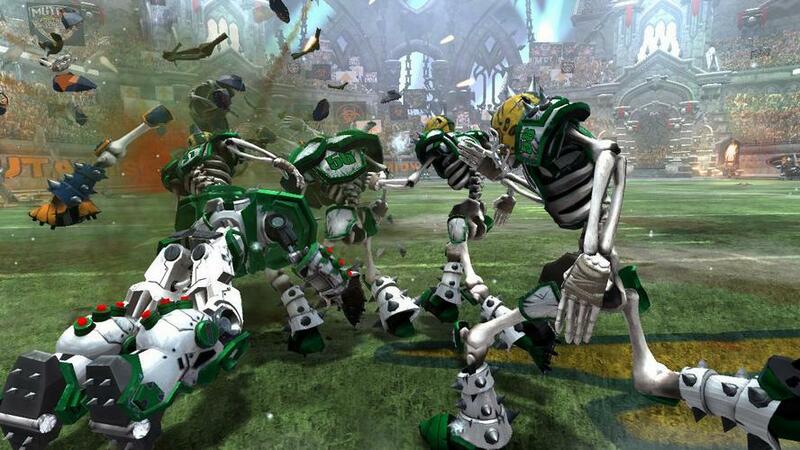 The Vultures made it to the Mayhem Bowl last season, but lost in a heartbreaker.